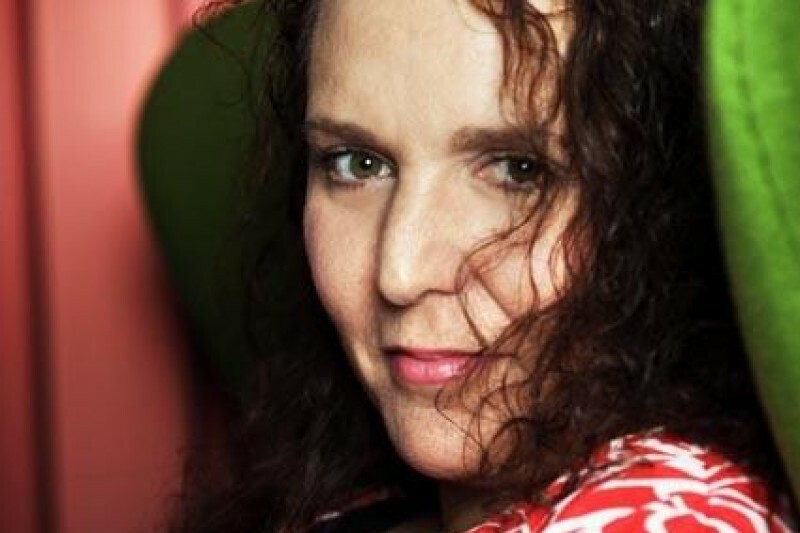 For the past two years, Molly Holzschlag has been fighting for her very life. After falling ill while at a web conference in 2013, Molly endured two rounds of grueling chemotherapy and is now on a long-term treatment plan that involves blood and platelet tranfusions and the use of colony stimulating factors and related stem cell stimulants - very expensive medications even with insurance - and will be indefinitely. It is very easy to donate, and secure. A gift of $25 would be like purchasing one of Molly’s books; $100 would be like buying a training video; $250 would be the registration fee for a conference. Consider setting up monthly or quarterly donations. A monthly donation of $20 is like paying for lunch for you and Molly! Sustainability is so important now. For Molly, it helps to pay for her monthly treatments. Blog, tweet, pin, share on social media -- the more attention you can help draw to Molly’s cause, the better. Use the hashtag #TeamMolly to show your support. Ask your company, a philanthropic institution, or a generous individual to match your donation. Use events as fundraisers-- such as a workshop or hackathon -- or ask event organizers to take up a collection and contribute the proceeds to the campaign. Molly worked at various times for major corporations, helping them to understand the Web and make the most of the new media. Ifyou work for a company that Molly served, talk up this campaign in your workplace. Shoot a video about what Molly’s work has meant to you, your life, your own career. Post a video, write a blog post, identify them with the #TeamMolly hashtag. - Speaking at more than 60 different industry events for web professionals in over 15 countries; Molly is a GREAT teacher! - Actively participating in the W3C HTML and CSS Working Groups as an invited expert, and chairing its Accessibility Community Group. - Passionately advocating for a free, inclusive, and accessible Web. Those of you who have been fortunate enough to read Molly’s books, to attend her classes or keynotes, or to work directly with her know that Molly has a fascinating and all-encompassing vision of the Web and its great potential. Although Molly’s body is sick, her mind is still hard at work. Molly’s health has not diminished her belief in the power of the Web. By contributing to the Molly Fund, you demonstrate that you support both Molly in her recovery and her vision for the Web. Please help now! Thank you for helping us to help Molly! Molly is one of the most determined and vibrant people on this shrinking planet. She has always dedicated herself to supporting and empowering others. She has brilliant ideas about what comes next - but she has to get healthy to realize that vision. People are asking about the details of the health crisis she is facing, so we have included more detail below. After the first round of fundraising, Molly had hoped to be back on her feet by this time. Unfortunately, this is not the case. After two rounds of chemotherapy treatments the chemicals that were meant to save her life, caused an even greater health threat. Her blood system has been horribly compromised and she now has a life-threatening condition: Pancytopenia . In other words, her body is not producing enough red blood cells, white blood cells or platelets. With specialty medications, Molly can lead a semi-normal life with a reasonable expectation regarding lifespan. Since she is not employed by an insurance providing organization her only options are medicaid or private insurance. She needs our help to continue paying for the insurance that will allow her to receive the treatments she so desperately needs. Additionally, even with a good insurance policy, many of her medications come with thousands of dollars in co-payments and some specialized medications are not covered at all. She is still bedridden and unable to work even a part time job, therefore, she also needs our help to cover her modest daily living expenses. Your help will allow her to concentrate on her medical issues without worrying about her financial situation. Hi all! Molly here with some news. At this point, my health is stable enough for me to consider part-time work beginning January 1, 2016. I will cease all medical fundraising at that time, and if I find I am unable to work, bite the bullet and take SSI disability which will leave me at poverty level but not homeless. I've been there before and it was The Internet and ultimately The Web that empowered me to have any career at all, and to travel the world despite the mystery illness that finally showed its face on a very sad and scary day in July of 2013. I nearly passed at least twice during the worst of treatments, as the condition pancytopenia (often referred to as Aplastic Anemia although the two are clinically somewhat different with essentially the same treatment) worsened to the point where I was completely bone marrow suppressed, making very few blood cells. Scary stuff! Spontaneous bleeds from every orifice - well let's just say woohoo, it wasn't fun. I'm past all that and have no intention of ever returning to that form of hell. I can now, with abundant caution and the excellent Doctors with whom I am currently able to work, begin to push harder toward physical strength, improved immunity, and greater well-being overall. Yay! 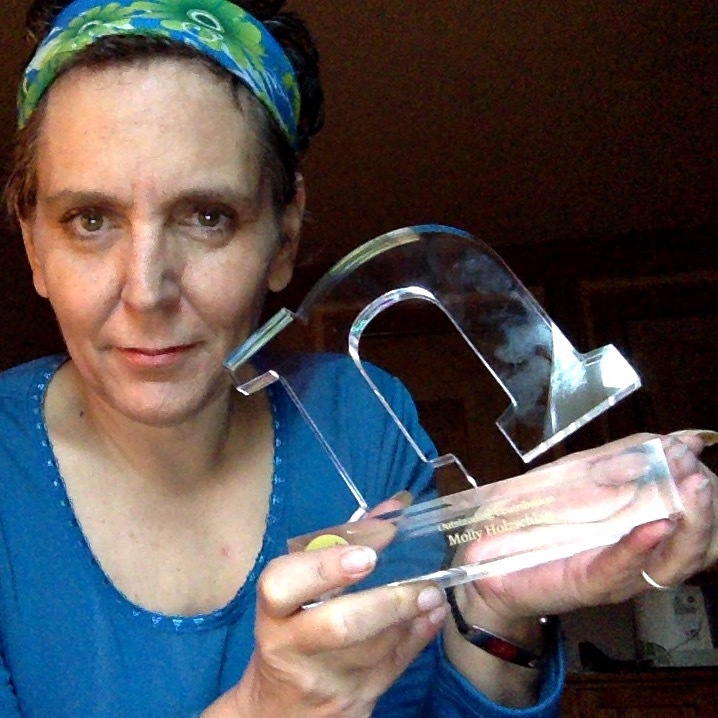 Oh, and I got this little award recently, too. I'm proud because it's entirely peer based. I gave pause for a second and quipped with deathbed humor "Sure, get it in before I die" which still makes me giggle even though I realize that wasn't the motivation behind the award! With all my love, endless gratitude and to a better world and life for us all! The generous folk at Environments for Humans have just added this incentive to our community to keep on supporting Molly as she recovers from her terrible illness. Knowbility provided a great set of accessibility training sessions at AccessU last week and E4H did webcasts of some of the best. Donate $75 to gain access to the http://environmentsforhumans.com/2015/accessu-summit/ 2015 recordings ...and if you are feeling even more generous, donate $125 or more and get both the 2015 and 2014 recordings. 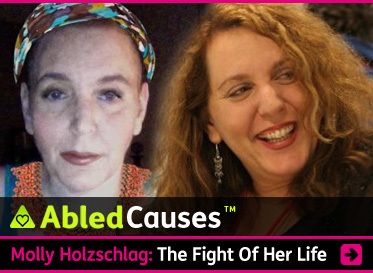 Learn more about the open, accessible web and at the same time, help Molly Holzschlag - a person who did so much to create it! Thanks to Christopher and Ari at E4H for their support ...and thanks to you for your generosity! Ali Ali: Thank you - I don't have cancer. My condition is now referred to as "Chronic idiopathic Pancytopenia" which results from the destruction of bone marrow stem cells. 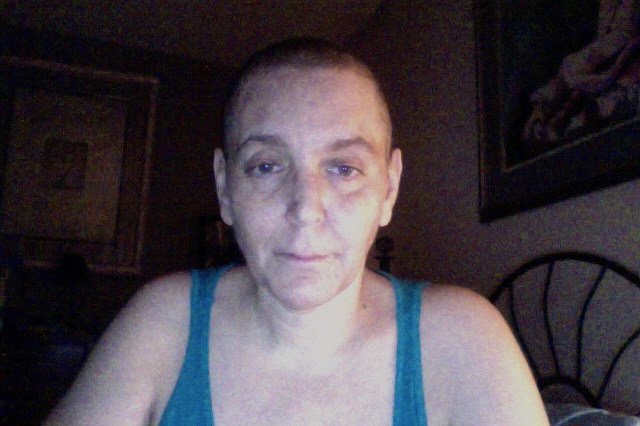 Cancer can do this - and in fact is most often the case. Idiopathic means "cause unknown" or in this case "cause most likely due to utter failure on the part of treating physicians" - I am now with a wonderful oncologist (yes, I'm with a cancer doctor, it's all very confusing, but they deal the most with this condition so the treatment is the same. At any rate, thank you again for your kind thoughts and your recommendation. I fear abandonment and homelessness far more than I fear illness. Illness is horrible, but illness alone and without a home is even more horrible, something I wish on no one. What a great response for the #TeamMolly fundraiser. Please continue to tell your friends. Please consider donating to my GoFundMe. It would mean the absolute world. "A surprise Trip for my girlfriend"
You were so kind to me at Foo Camp 2011. Thank you for that. I hope this helps in some small way.